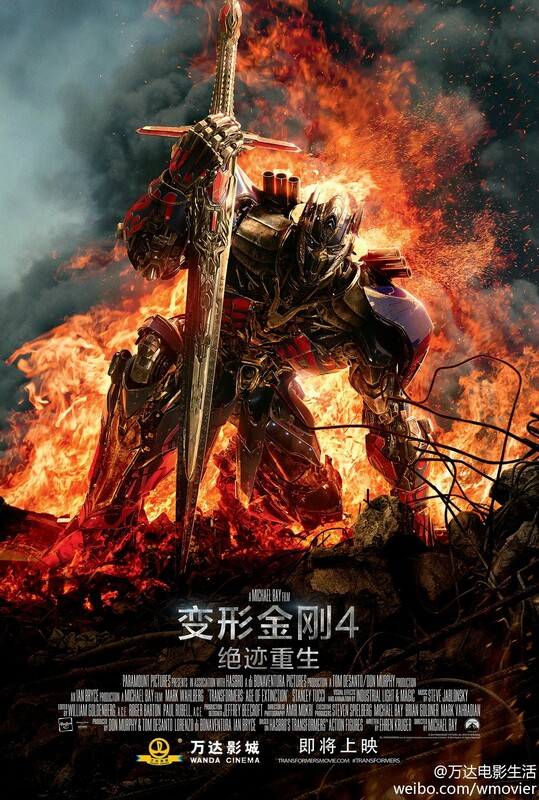 Official Transformers Chinese Media Site; M1905 has posted a new poster for Transformers: Age Of Extinction. This new Poster features a battle damaged Optimus Prime with his Sword Of Judgement. Oh god its beautifull. Up until now we only got meh to subpar posters and suddenly theres this. Its amazing. Anyone try removing the text? THIS. Someone, please do it! Much better than the Photoshoped mess from the other thread. Optimus: "Need… flame-proof… toilet paper…"
I almost could of gotten the Leader class Prime toy too :/ If only I had more money. Edit: Also anyone notice what looks like a face on his visible foot? I see it it's very creepy lol. I just noticed that Mark Wahlberg's name is before the title in the credits below. LMAO. this. Marky Mark is the shitz. Awesome! Here's hoping an English version becomes available eventually! I'd love to own a poster like this! I'm guessing the six massive bloody smokestacks protruding from his back, and blue truck lights in his thigh region aren't kibble then . Yeah…… no. No clue what you're seeing there lol. It actually looks like Voldemort. Thank you my good sir!